Maseru (Lesotho), May 31, 2018 (SPS) - The Saharawi Republic and the Kingdom of Lesotho called on Morocco to honour its obligation to abide by the principles and goals enshrined in Article 4 (b) and (f) of the African union Constitutive Act in a joint communiqué on the occasion of the official visit by His Excellency, President Brahim Gali of the Saharawi Arab Democratic Republic to the Kingdom of Lesotho from 28th to 31st May, 2018. 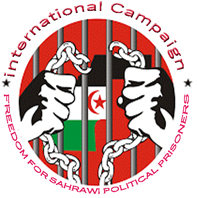 The two leaders called on the International Community in particularly the African Union and the United Nations to pressurise the Government of Morocco to observe the various UN Resolutions, particularly those regarding the right of the Saharawi people to self-determination and independence. In this regard, the Prime Minister, expressed the full support and confidence in the efforts undertaken by the UN Secretary General Personal Envoy for Western Sahara, His Excellency Horst Köhler to bring the two parties together to expedite the holding of the referendum in accordance with the UN Settlement Plan of 1991. . The Prime Minister commended the Saharawi people for their resilience and fortitude in their struggle for total liberation and their right to self-determination against oppression and colonisation by Morocco.